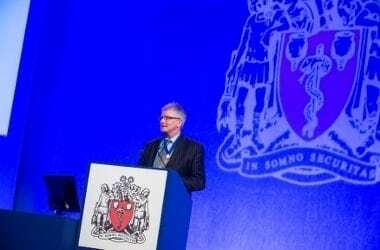 London’s QEII Centre welcomed the Association of Anaesthetists of Great Britain & Ireland (AAGBI) for the 20th consecutive year at the association’s Winter Scientific Meeting London 2017. The event, which took place at QEII from Wednesday 11 – Friday 13 January, saw over 1,000 medical professionals attending ground-breaking talks on anaesthetic topics and controversies, featuring high-profile international keynote speakers including Baroness Professor Susan Greenfield, Dr Andy Bodenham and Professor Justiaan Swanevelder. QEII’s Churchill room was used for the main sessions of the event, while the Mountbatten room on the sixth floor of the Westminster venue hosted the second stream. The AAGBI’s Winter Scientific Meeting London is attracting more delegates year on year and the increased capacity of the Mountbatten room, as a result of refurbishment in 2016, is helping the venue continue to cater for the event’s growing numbers. The AAGBI is the professional membership organisation for over 11,000 anaesthetists in the UK and Ireland, doctors who specialise in the delivery of anaesthesia. The AAGBI also took over the entire third floor of the building for its exhibition and optimised QEII’s industry-leading AV facilities to offer live-streaming of its sessions throughout the event, including to a parent and baby room for members who are on maternity or paternity leave to keep up with their CPD hours. Throughout its 20 years of being held at QEII, the AAGBI Winter Scientific Meeting has been looked after by the same member of the QEII team, AV project manager Bill Slade. Zack Puttock, events manager at AAGBI said: “Location is key in choosing a venue for our events and our delegates appreciate QEII’s position in the heart of London; it’s easily accessible by public transport and the views are incredible. Being up on the sixth floor we always see delegates taking photos of the stunning views out over the city. We’ve always had a positive experience at QEII but since its refurbishment project began in 2014 it’s been even better, the customer service and the quality of catering are fantastic.